Included below are homes for sale in Acworth. For more information about real estate in Acworth, or to get an experienced Realtor with local knowledge of homes for sale in Acworth working for you, contact us at 678-522-4035 or email. Welcome to our Acworth Homes For Sale page! 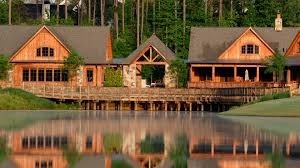 If you are looking for a beautiful home for sale in the greater Atlanta area and want to be far enough away from the city to enjoy nature but close enough to take advantage of big city amenities then Acworth, Georgia is the place for you. With city, which is often known as “The Lake City” is surrounded by both Lake Allatoona and Lake Acworth. The result is a beautiful environment that North Georgia residents have been falling in love with for years. However, living in Acworth is about more than just getting in touch with nature and enjoying fishing, swimming and boating in the beautiful area lakes; Acworth is about much more than that. With nearly 20,000 residents calling Acworth home there is plenty to do and plenty to see in this area. The Acworth area is home to the Town Center Mall; featuring more than 200 stores, movie theaters, historical areas, museums, restaurants and other amenities that can all be at your fingertips. For those looking to settle in the Acworth area and start a family, kids can not only enjoy summertime on the lakefront, but many outstanding local schools as well. Those living in Acworth can enjoy an outstanding education from either surrounding private schools or the town’s public school system. Those who are looking to start a family in Acworth will also find a variety of homes for sale in all different styles that can meet their needs. Those who are looking to enjoy the beauty of the lakes will enjoy a variety of single family homes and apartment communities right near the lake. There are also many gold and tennis communities in the area that you can call home. Those looking for larger detached homes in friendly subdivisions will find a number of single family homes that are perfectly equipped with large yards for playing. There are also several new communities being built in this area as it continues to grow in popularity. If you are looking for more location and less space then you can enjoy living in a beautiful condo or townhouse near the historic downtown area of Acworth where all types of restaurants, shops, and businesses are right at your fingertips. Found in the popular Cobb County area of North Georgia, near the city of Atlanta, is the town of Acworth. With nearly 20,000 residents calling the city of Acworth home there are plenty of new neighbors to meet when it comes to finding an Acworth area home. For many people, it isn’t only the friendly faces of Acworth that makes this area so popular, it is the beautiful location along Lake Allatoona and Lake Acworth that has many turning to the Acworth market. The entire area is surrounded by beautiful lakes, giving in the nickname “The Lake City,” and making it a popular destination for those who are looking for peace, serenity and natural beauty. The city of Acworth is very large in total area and parts of the Acworth community are in parts of Cobb County, Paudling County, Bartow County and Cherokee County. However, no matter what corner of the area you are in, you will find outstanding access to both of the area’s lakes in the greater Acworth area as well as some great Acworth real estate options that will provide you with tremendous value for your money. Not only can you enjoy the stunning lakes in the Acworth area but you can take advantage of several historical sites, museums, theaters and malls that prove that the Acworth area truly has it all. This town is a great choice for those who love the great outdoors and for active families who are always looking for something to do. Not only is their plenty to do within the Acworth area, but you can also enjoy being just minutes away from downtown Atlanta as well. 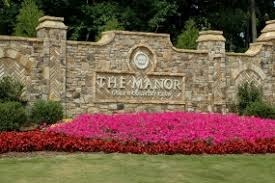 Just a 35 minute drive will have you in the heart of downtown Atlanta, making this suburb an excellent choice for those who want access to big city living but want to enjoy the nature and beauty of Acworth and its hospitable small town atmosphere. Whether you are looking for a quaint town home in the down town Main Street City area of Acworth, a lake front retreat or a sprawling single family home with a large yard, there is truly something for everyone in the Acworth real estate market and somewhere in this area that you can call home.